Becks Armstrong is a degree educated women’s health specialist, with 20+ years senior leadership experience within UK tech startups. In 2017, Becks spotted a lack of real and substantive solutions for women going through peri-menopause and menopause. As a result, she created Clarity – a technology solution to improve women’s health through mindfulness, relaxation and sleep.  The Clarity app features specific content and mindfulness practices for situations that may arise due to menopause like hot flushes, sleeplessness, night sweats and improving a low libido. Such exercises improve the quality of life for users – from better mental health, relationships to performance in the workplace. Our mission is to improve the lives of women – one calming breath at a time.